S.A.L (StreetArtLocator) not only helps you find street art but lets you capture and share new street art locations back with the street art community. Every time you take a picture with the StreetArtLocator iPhone app sends the photo the location and the details back to the site which can then be downloaded to others using the app next time they open it. S.A.L app is an extension of the streeartlocator.com website which means all images added via the app are added directly on to the website. Where you can see locations from around the globe added by members of the community worldwide. From the website each location can be shared to twitter, Facebook and a heap of other social media. 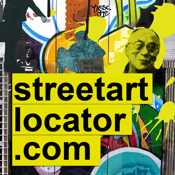 StreetArtLocator does not encourage or condone illegal activities, it's sole purpose is provide an archive of street art and it's locations.